Anesthesia is an ever-changing field where new technology, practices and research helps us make our practice safer and more efficient. That always raises the questions of when it is time (if ever) to exchange techniques that were used in the early years of anesthesia with new ones. Precordial stethoscope has been a key tool for anesthesia providers that can be used for continuous intraoperative assessment helping diagnose number of possible pulmonary and cardiac complications. However, improvement of anesthesia technology has made me question if its really a necessary assessment tool nowadays. Use of ETCo2 monitor, pulse oximetry, esophageal stethoscope and ventilator alarms etc can help providers diagnose changes in patient status as well. So, is it worth incorporating precordial stethoscope? Following is a list of key points on how I feel we can use them to improve our practice along with some tips on its appropriate use. Types of Cases: I can't deny that having an extra monitor as such can ever be bad for any type of case. However, certain cases or patient population definitely support its use more so than others. I have used precordial stethoscopes primarly during pediatric cases mainly for continuous pulmonary assessment. Pediatric patients are at increased risk of events such as laryngospasm especially during induction and emergence. There is also a higher chance of right main stem intubation commonly in cases such as intraoral cases where head is manipulated. Therefore, I place precordial stethoscope over the left chest wall and hear for absent breath sounds. Anesthesia providers can also benefit from a precordial in patients with reactive airway disease, smokers and other pulmonary conditions. Surgical Positions: Some cases require patient or bed to positioned in a way that can limited to sometimes, no access to patient airway. This can result in transforming, generally easily manageable situations, into complicated emergent ones mainly due to the delay in diagnosing and treating the problem. 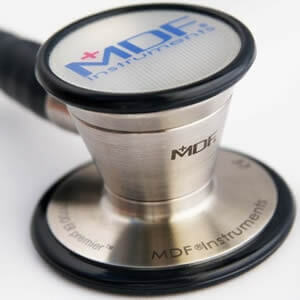 Airway disconnect, inadvertent extubations, changes in heart tones can be easily assessed with the use of precordial stethoscopes especially in such positions. Beach chair position is a commonly used position for shoulder repairs , craniotomies etc that places patients at risk of complications such as venous embolism. Feel free to share your thoughts on it. Do providers you know still use it? If so, how often and during what types of cases? Labels: A Student CRNA Blog , CRNA Career. , Nurse Anesthesia , Nurse Anesthesia Blog , Nurse Anesthetist , SRNA , SRNA Blog , Student.